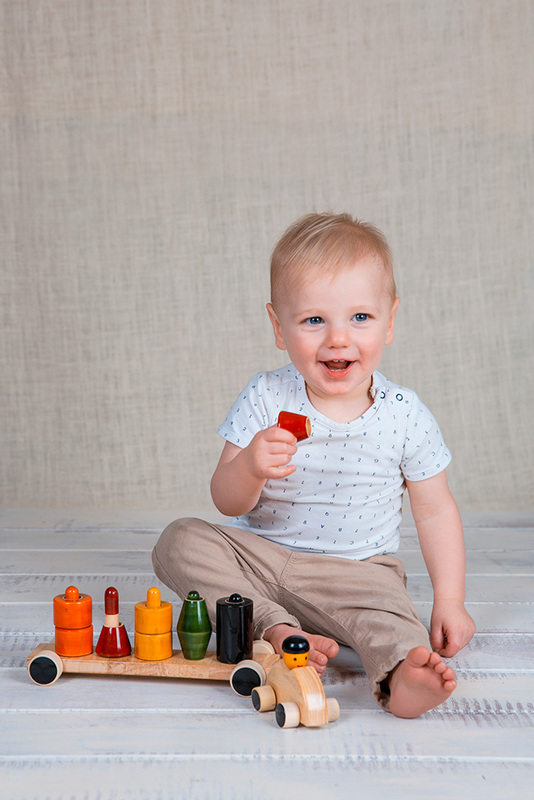 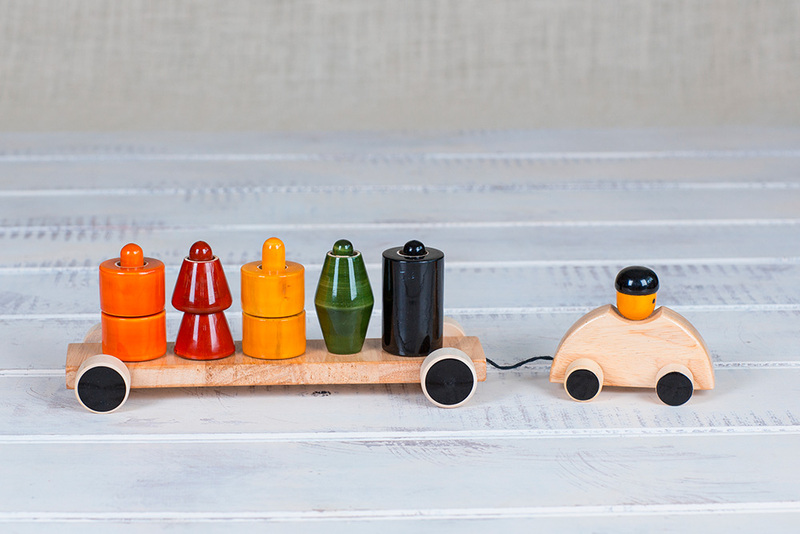 The wagon + stacker train is one of the fair-trade co-operatives best sellers. 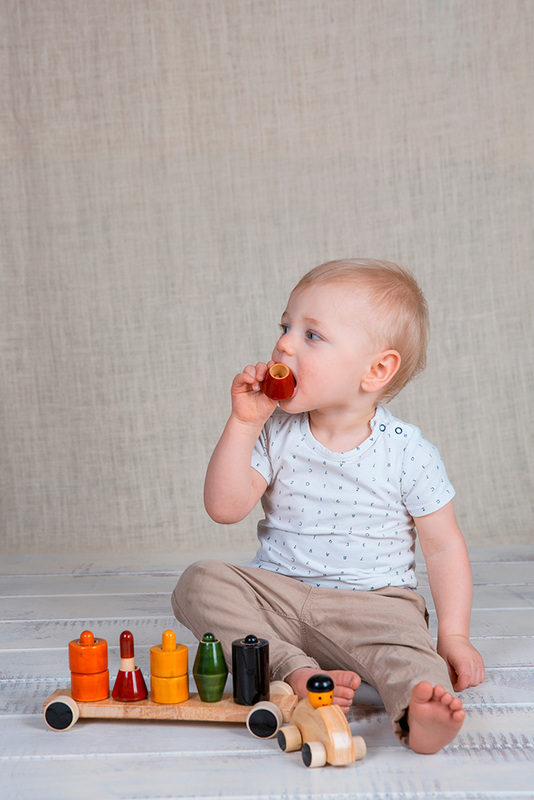 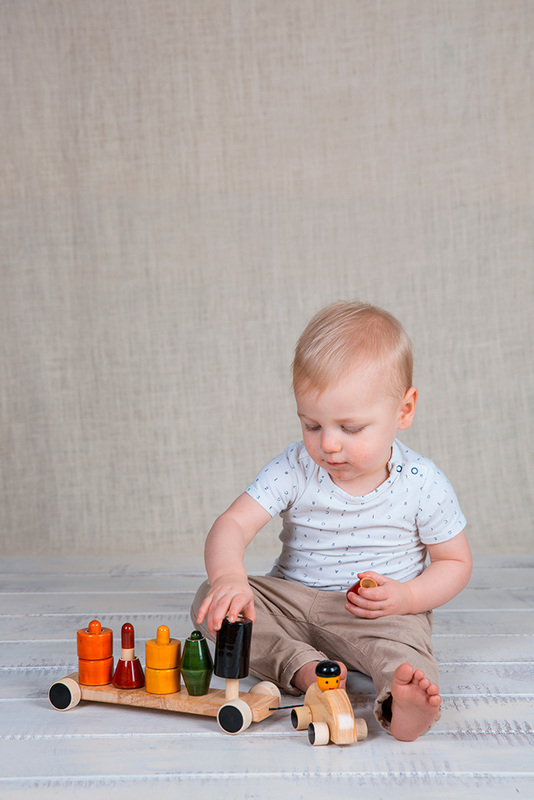 A great interactive toy to help develop your child’s dexterity, hand-eye coordination and gross motor skills. 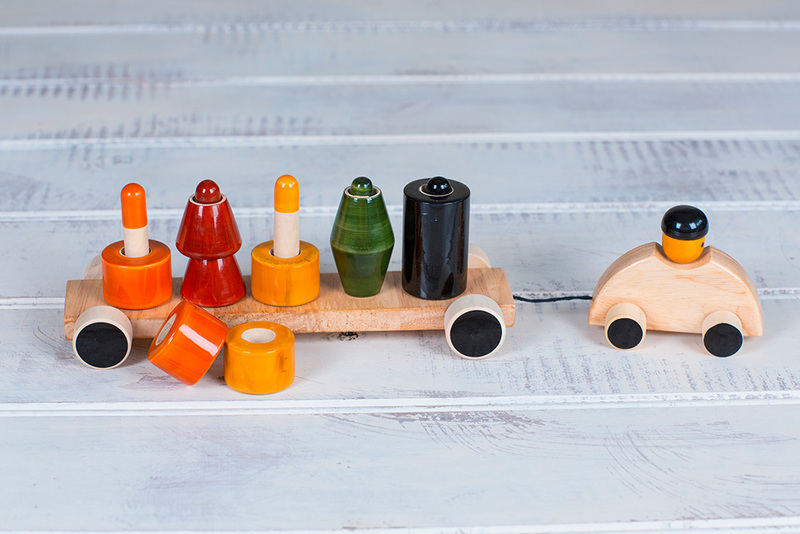 The wood grains, markings and dye shades may vary for each toy due to its unique handmade nature. 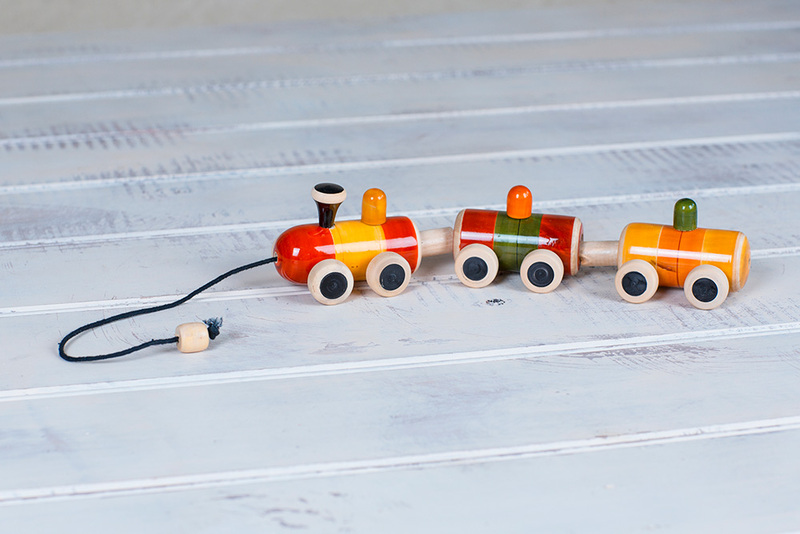 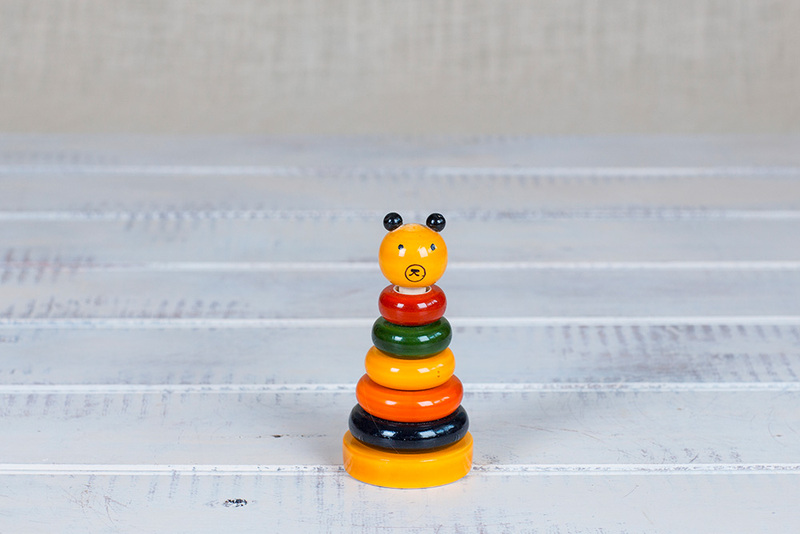 These are not to be mistaken as defects but rather an affirmation of the beauty in these handmade toys! 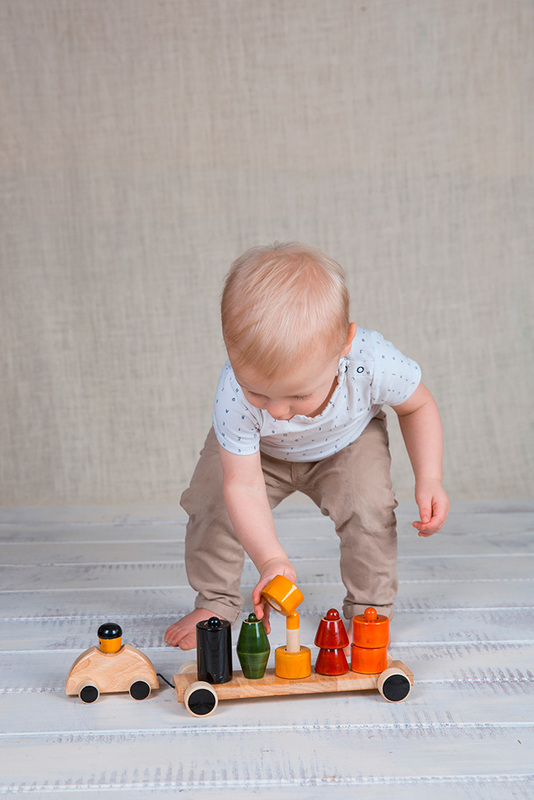 Important note: Regardless of the suggested age grade, children under 3 MUST be supervised when playing with these toys at all times.